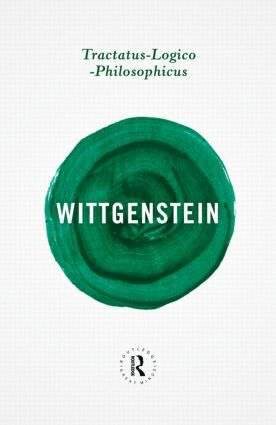 Ludwig Wittgenstein is one of the greatest and most fascinating philosophers of all time. His Tractatus Logico-Philosophicus, composed in a series of remarkable numbered propositions, was the only book he published in his lifetime. He tackles nothing less than the question of whether there is such a thing as a logically perfect language and, armed with it, what we can say about the nature of the world itself. Pushing the limits of language, logic and philosophy, the Tractatus is a brilliant, cryptic and hypnotic tour de force, exerting a major impact on twentieth-century philosophy and stirring the imagination today. With a new foreword by Ray Monk. Routledge Classics is a stable of over two hundred ground-breaking books which inspire, enlighten and provoke in equal measure. Routledge Great Minds presents ten of the best shorter works from the Classics series where some of its leading authors provide, in brief and accessible form, pithy statements of their ideas and arguments. Ideal for those unfamiliar with their work as a whole, for the time-pressed, or for the merely curious, these books contain the ideas of a great thinker in a nutshell. They are also an excellent starting point for anyone coming to Routledge Classics for the first time. Each volume includes a new foreword by a leading authority in the field.